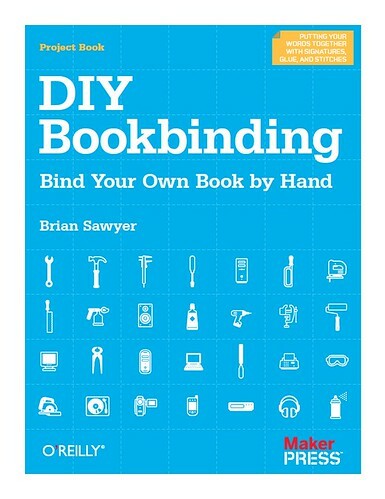 The biggest source of traffic (by far) to my humble blog has been the expanded version of my DIY Bookbinding article, which originally appeared in Make magazine, Volume 5. If you’ve seen it here before, I hope you’ve found it useful. 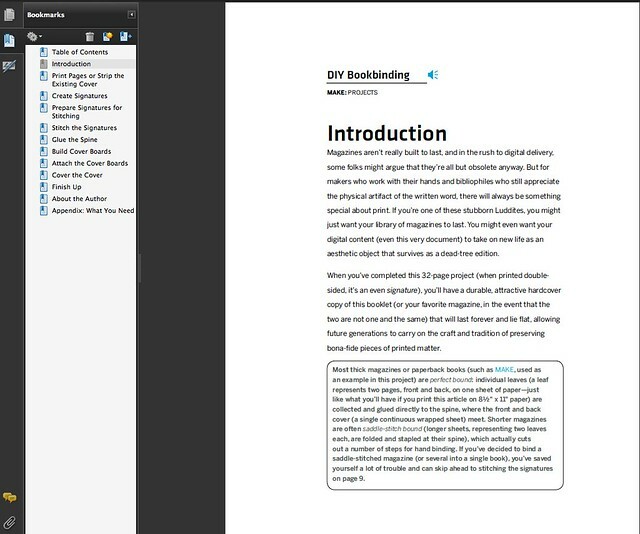 Given its popularity, I decided it was time to finish what I’d always had in mind for it: to make it look nice in InDesign and distribute it as an ebook. My employer thought it was a good idea too, and now my baby is all growed up. It is finally available at a reasonable price as a pretty 32-page PDF, an intentionally convenient length (32 pages is an even signature) suitable for printing and binding on your own. I’m actually not sure if I’m going to keep the content up on this site forever, because I like the finished ebook so much, but I also want people to use it, even if they don’t want to pay for it. I’m going to put off that decision indefinitely, but in the meantime, the same content lives here on my blog. If you want a more professional-looking version, something to print and bind yourself, or just a way to show me how much you’ve enjoyed it, you can drop five bucks in the tip jar and download away.